Tourists heading to a popular venue in the Loire-Atlantique may find the most popular attractions are off the road, after workers walked out in a dispute over pay and conditions. 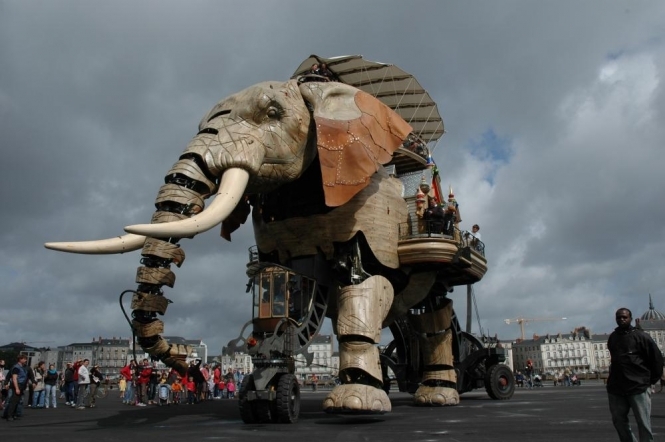 Les Machines de l’île were silenced on Thursday afternoon as some of the venue's 300 employees, including staff who pilot and maintain the popular elephant, answered a CGT call to strike. They later voted to continue the strike action on Friday, according to regional newspaper Ouest France, which warned that further action was likely in the days and weeks ahead unless an agreement can be reached. "The new hybrid engine requires additional technical skills; and we need to be ever more vigilant to ensure public safety around the elephant during outings," a spokesman for the drivers told the newspaper. Workers say that a recent 1.2% pay increase has barely kept their salaries in line with inflation, and also claim that their job has 'evolved'.